Design is most beautiful when it makes unimpressive everyday objects into real furnishing items, when it transforms functional objects into exceptional products by means of small design changes, converting things that will remain at our side for a long time, things that we love. The Brillo series by Alessi is a great example for this. 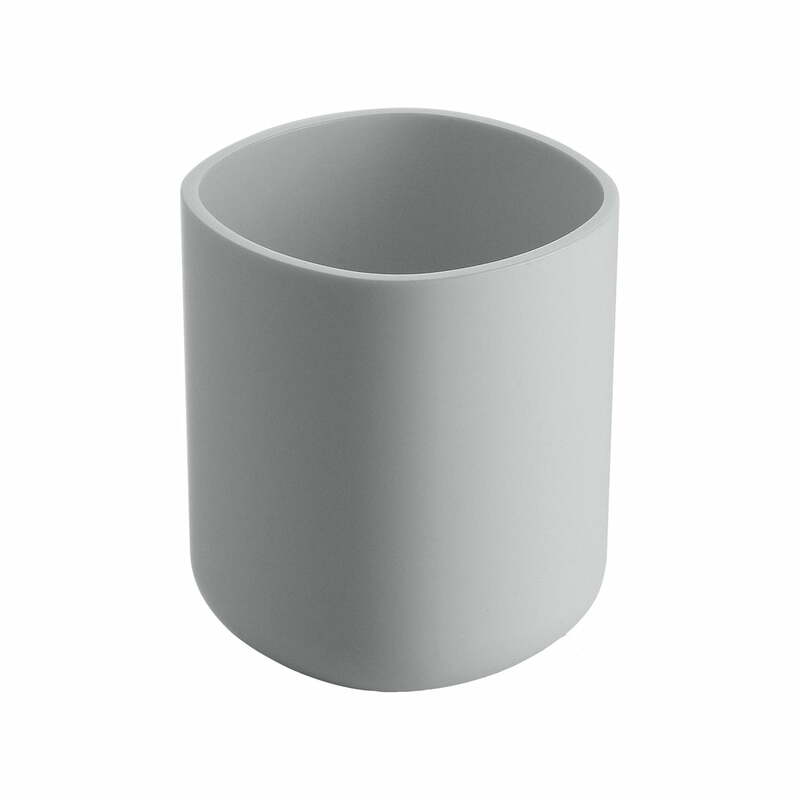 The toothbrush mug by the designer Piero Lissoni offers an unexpected elegance to the simple everyday item. 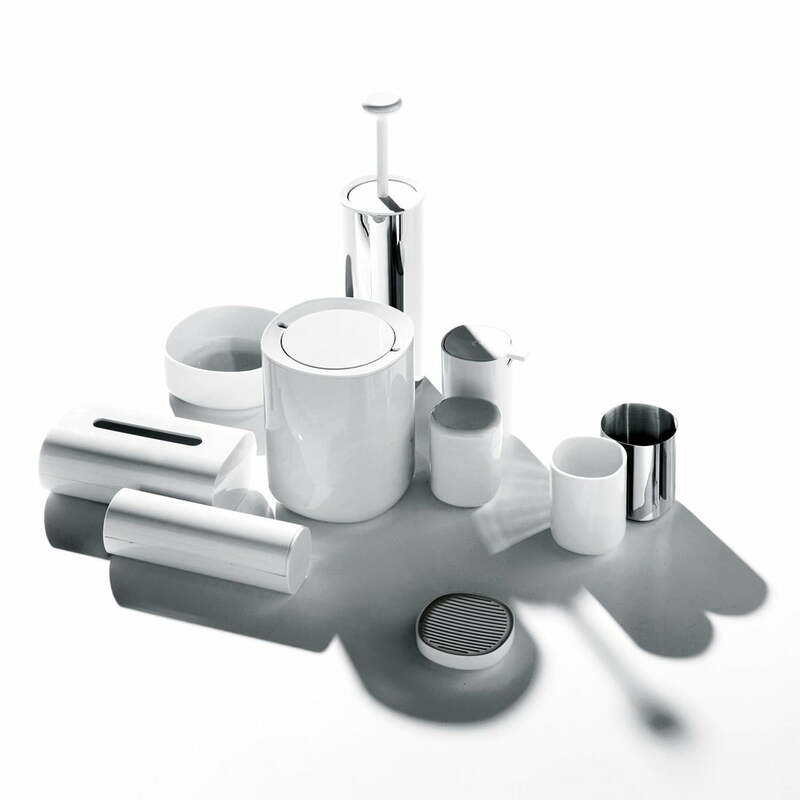 The otherwise only functional toothbrush mug no longer needs to be hidden, but can be proudly presented as a high-quality design object by Alessi. The toothbrush mug will win you over on its own or as part of an ensemble of the Birillo collection with its gentle lines, its elegant plainness and the characteristics which let the products of Piero Lissoni’s Birillo stand out from the rest of the bathroom accessories: Through the curves at the bottom, the footprint will not be visible and the objects of the family seem to float, to drift on the flat areas of the bathroom. 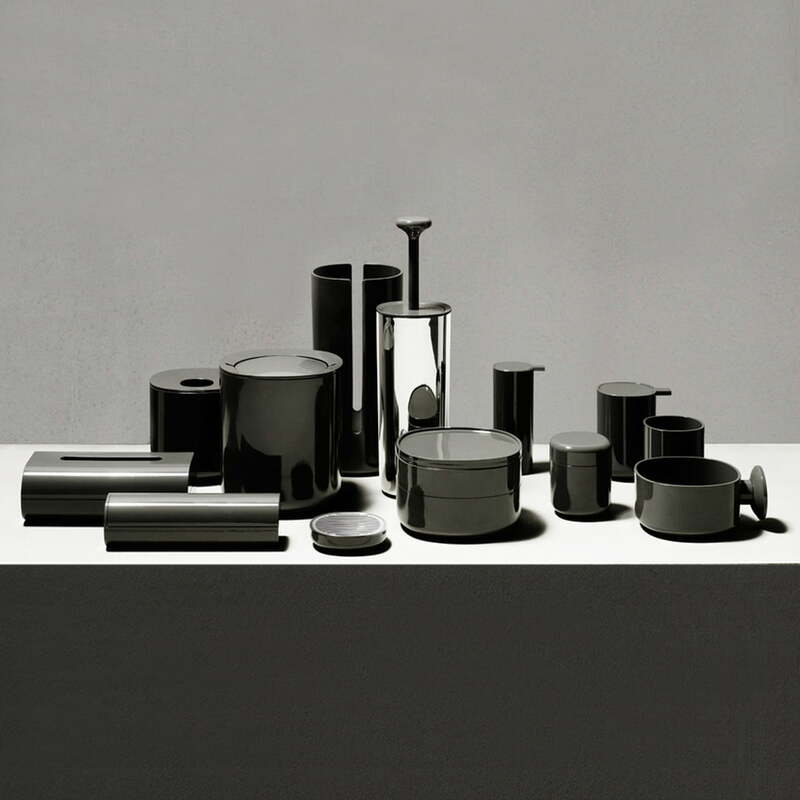 With Birillo, Alessi presents its first extensive bathroom collection. Plain and beautiful, practical and extensive, Birillo offers the possibility of completing the bathroom and giving it an elegant and harmonious appearance. For his design of Birillo, Piero Lissoni was inspired by the form of a rounded square which develops into different three-dimensional bodies. The designer himself describes the shape as an “imperfect square or completely misshapen rounded form”.